Now that you've outfitted your own kids for Back to School, we have a great place to put the clothes they've outgrown--AND a wonderful opportunity to spend a morning serving our larger community helping families fill their closets! Winterhaven Clothing Drive - Friday, September 8-Thursday September 21 - Winterhaven's Community Service Committee is running a Clothing Drive to provide clothes to the Portland Council PTA Clothing Center. Please bring your bagged clothes to the plastic bins located in the front foyer of the school starting September 8th. All donated clothes are taken to the PTA Clothing Center to serve school-age children and their families in our greater community. Per the Clothing Center website, please try to provide clean, gently-worn clothes that are appropriate for school attendance. 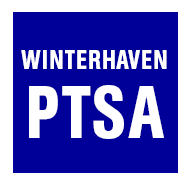 PTA Clothing Center - Thursday, September 21 (9:30-1pm) we need at least six volunteers for Winterhaven's assigned date at the Portland Council PTA Clothing Center at Marshall High School: 3905 SE 91st Ave, Portland, OR 97266. For many PPS students, this is their only chance to get new clothes for the season, and it is an incredibly rewarding experience for volunteers. Choose to help families "shop" for clothes or sort incoming donations - if you have the flexibility in your schedule, please consider joining us. If you cannot commit to the full 3.5 hours, think about splitting a 1.75 hour slot with a friend. Email Rebekah Folsom (rsatz@yahoo.com) to sign up for a slot or half-slot (9:30-1p, 9:30-11:15, or 11:15-1p). On behalf of the Community Service Committee, Many thanks!